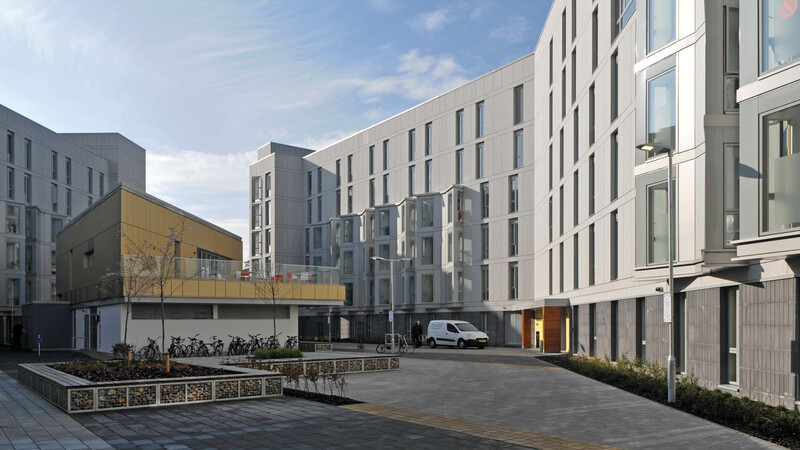 The Crome Court and Blackdale student residences at the University of East Anglia extend the already considerable provision of residential accommodation and form part of the University’s £58-million Low-Carbon Campus masterplan. Crome Court was completed in 2014, while Blackdale was completed in 2016. 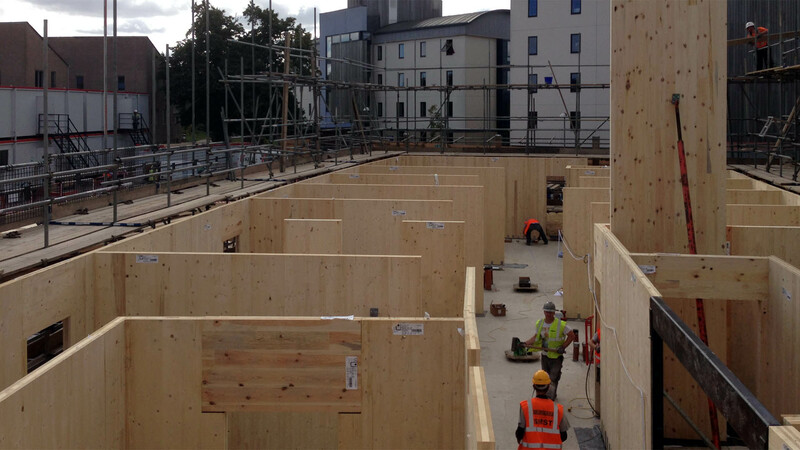 Both developments were designed by Norwich-based LSI Architects and incorporate CLT (cross-laminated timber) structures. 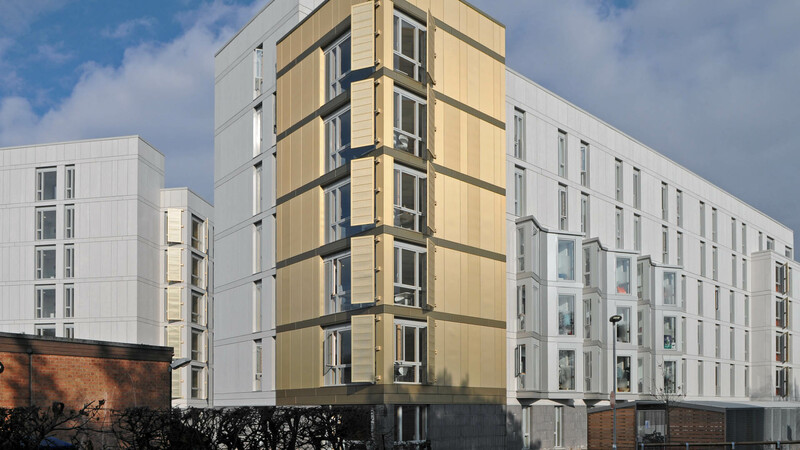 At the time of Crome Court’s inception in 2012, CLT was a relatively new building technology in the UK. 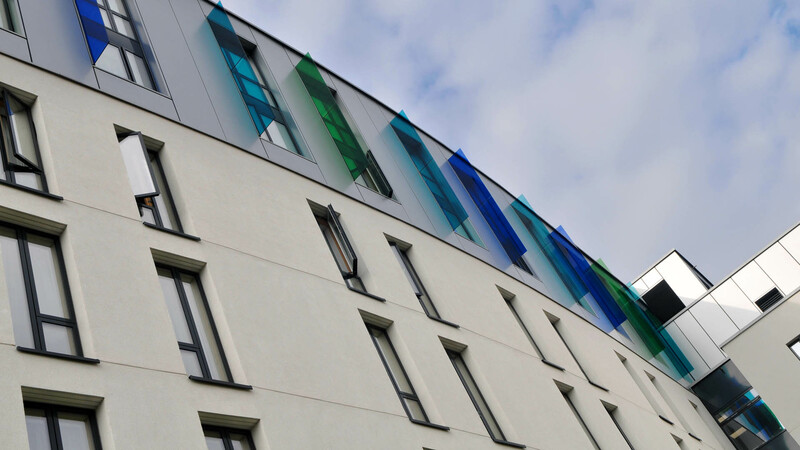 A BREEAM rating of ‘Excellent’ was also targeted for both developments and therefore more stringent acoustic standards were required over and above compliance with Approved Document E criteria. Our acoustic design work therefore involved a considerable amount of research into and interrogation of the limited acoustic data available from manufacturers. 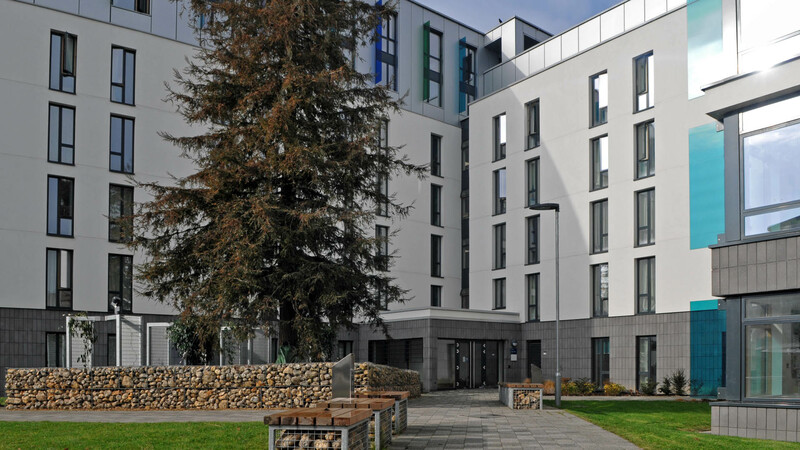 We worked closely with the architects and contractors to develop and refine separating wall and floor constructions between student bedrooms. 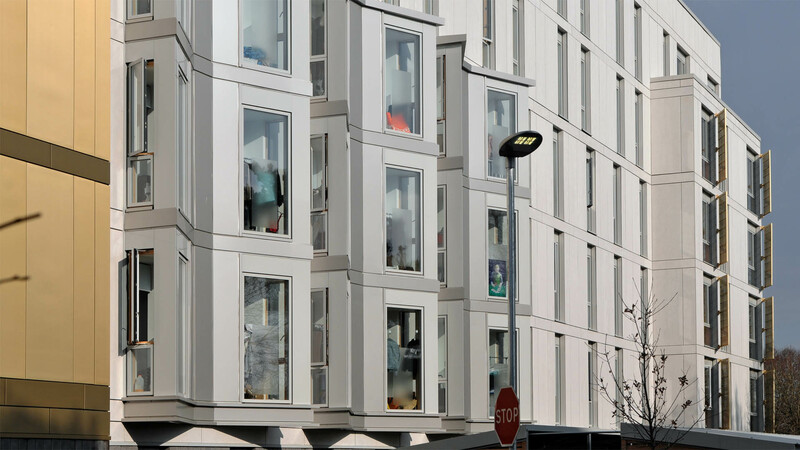 This included conducting preliminary sound insulation tests on advance sample rooms, which allowed us to consider site-specific issues such as service penetrations and bathroom pods, and the effect of these on the sound insulation achievable in practice. 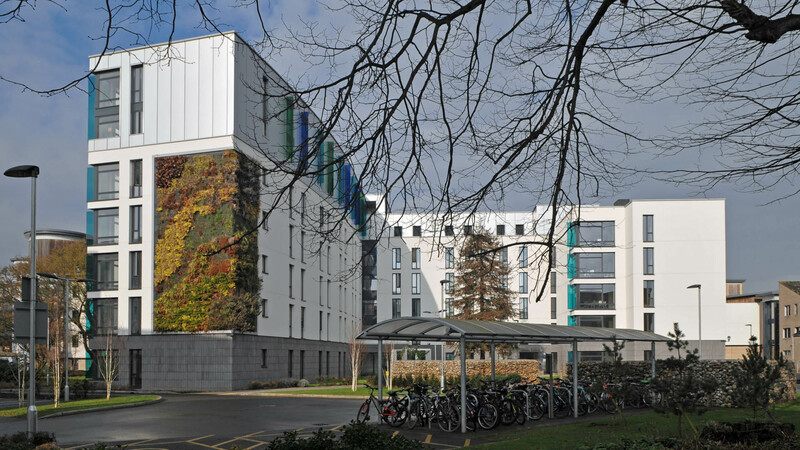 Crome Court won a National RICS Design Through Innovation Award and a Green Gown Award for the Built Environment in 2015.